hearth/myth: Why you should write what you know - with a caveat. Why you should write what you know - with a caveat. One of my fellow minions at Indies Unlimited, Gordon Long, posted an article this week about how, in his opinion, scientists shouldn't write science fiction. You've heard the saying, I trust, that you should write what you know. Gordon's argument stands that saying on its head. His premise is that scientists tend to geek out over their subject matter and include way too much detail -- which, while accurate, will bore the reader to tears. He does allow for the fact that sci-fi readers expect infodumps of technical information about the way things work in the story's universe. That's pretty much a given in sci-fi. But he says it's too easy for overly enthusiastic new authors to include too much information in an infodump, or too many infodumps in a story, or appendices (in a novel!) with an excruciating level of detail. The thing is that there are good reasons for scientists to write sci-fi. Regular readers of the genre do expect infodumps -- but they also expect the science behind the whiz-bang special effects to be plausible. The fiction part can't violate the rules of the science part; if it does, readers will call you on it. Or they'll call you an idiot. Or both. What Gordon is arguing for, I think, is moderation -- authors should include only as much description and background information as is necessary to tell the story. Some authors resist the temptation to include too much detail by not inventing an extensive backstory at all, although that can get you into trouble in other ways (say, in book two). Perhaps the best way for an author to avoid tedious infodumps is to enlist a layman or two (or more) as beta readers. You're looking for the holy grail here -- somebody who not only knows just enough to realize when the author is heading off into the weeds, but who is also willing to tell the author that those weedy bits need to be excised. An author could also trust their editor to tell where to cut, but editors cost money. Beta readers can help with the rough polishing before an author sends the book to the editor. At the end of the day, I don't think Gordon's view is far from mine. Feel free to write what you know -- with the understanding that all those details that are so fascinating to you may bog down your story for your readers. 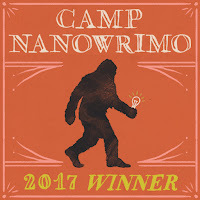 Good news on the Transcendence front: Today is the last day of the first session of Camp NaNoWriMo this year, and I was able to "win" last night by topping 45,000 words on Maggie on the Cusp. 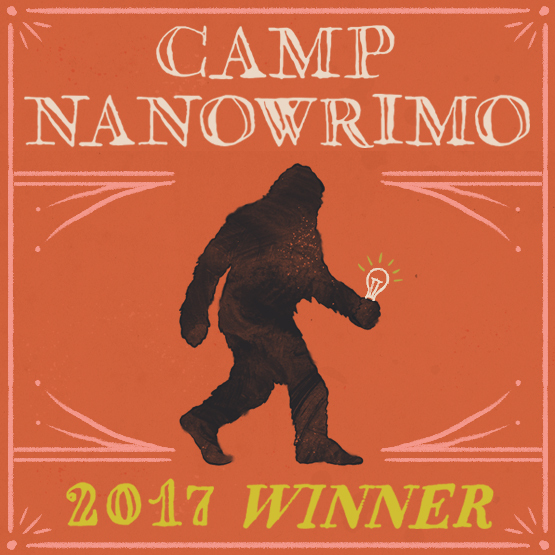 While camp is over, the book is not; I have a handful of scenes yet to write. But I expect I will wrap that up here in the next week or so. Also, and speaking of sci-fi: Plan 559 from Outer Space Mk. III is out! I had a little fun with the characters in my story, "Shreeg." See if you can tell who Captain Lodestone is based on. First person with the correct answer wins an autographed paperback of Maggie in the Dark. Good luck! These moments of bloggy moderation have been brought to you, as a public service, by Lynne Cantwell.